IndiaNivesh is one of the earliest insurance brokers to be licensed by IRDAI. Our services cover all life and general insurance products for companies and individuals. Our specialisation lies in providing insurance solutions for large industrial projects. Our association with several insurance underwriters enables us to provide optimal solutions for our clients. The quality of our services is evidenced by long term retention of clients and credible track record in claim settlements. 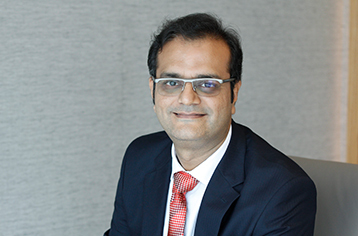 He heads the insurance broking business of IndiaNivesh, and is directly responsible for the overall development of the insurance business, encompassing network expansion, new business development, forging alliances with insurers/principals and claim settlements. Sumit has an experience of 14 years in the insurance sector and has worked extensively in life and non-life products. His forte lies in comprehending risks and providing tailor made solutions for large industrial projects. He is a Chartered Accountant.